iPod/MP3 Input Onboard Communications System, Aluminum Wheels, Privacy Glass, Keyless Entry, Steering Wheel Controls. TRANSMISSION, 9-SPEED AUTOMATIC 9T45, ELECTRONICALLY-CONTROLLED WITH OVERDRIVE (STD), SIDI, VVT (170 hp [127.0 kW] @ 5600 rpm, 203 lb-ft of torque [275.0 N-m] @ 2000 - 4000 rpm) (STD), AUDIO SYSTEM, 7" DIAGONAL GMC INFOTAINMENT SYSTEM includes multi-touch display, AM/FM stereo, Bluetooth streaming audio for music and most phones, Android Auto and Apple CarPlay capability for compatible phones (STD). 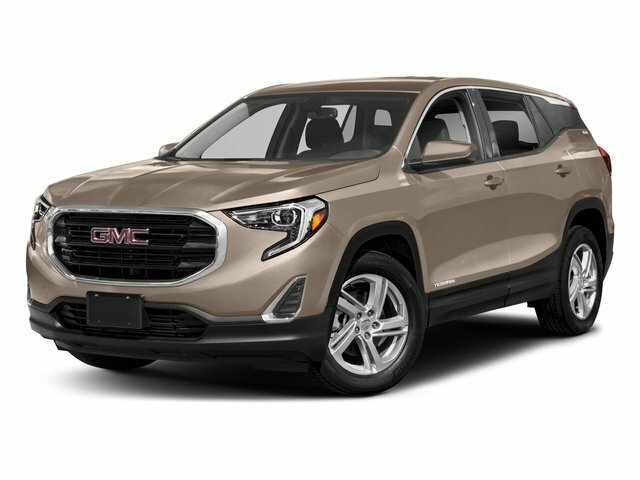 GMC SLE with Summit White exterior and Jet Black interior features a 4 Cylinder Engine with 170 HP at 5600 RPM*. .
Was $23,554. This Terrain is priced $600 below NADA Retail.